Securities Investors Association (Singapore) or SIAS, was founded unexpectedly in June 1999 to champion the CLOB issue. 172,000 retail investors were suddenly stranded when the Malaysian Government froze their investments on Malaysian stocks in September 1998, amounting to US$5 billion. A group of civic-minded citizens lead by Mr David Gerald got together and took on the challenge to help free the frozen shares with an initial backing by 49,880 retail investors as members of the non-profit organisation. Their resoluteness and unity helped to resolve the issue on our terms. Today, SIAS is a Charity and an Institution of Public Character (IPC), and the largest organized investor group in Asia, with almost 71,000 retail investors as members. It is run by an elected Management Committee comprising of professionals who are volunteers. It actively promotes Investor Education, Corporate Governance and Transparency and is the advocate for Investor rights in Singapore. To-date, SIAS has successfully organized over 1000 investor education programmes ranging from basic investment seminars for novices to certificate courses for investment savvy investors. Thus far, more than 140,000 retail investors have benefited from these programmes that are offered largely free. Members are educated on the features of investment products, and the attendant risks involved in each product. Investors are taught to make informed decisions on investing. SIAS is able to provide a variety of investor education programmes to its members and the investing community at large through collaborative arrangements with financial institutions and listed companies interested in investor education as part of its corporate social responsibility agenda. SIAS is “the voice” for minority shareholders and has already engaged with corporations falling short of good Corporate Governance practices. However, its preferred approach to resolve investors’ right issues is to do so in the boardroom and not in the courtroom. Many SIAS investors have sought protection also from errant traders. 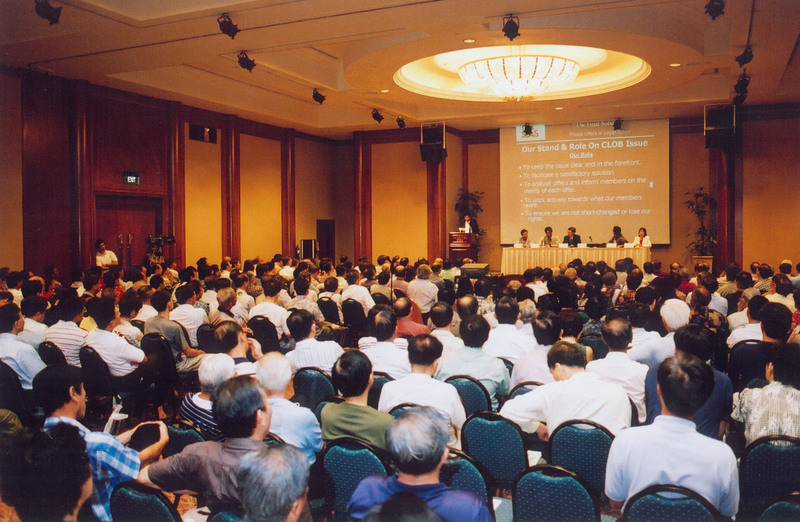 SIAS conducts dispute resolution sessions regularly to assist investors to resolve issues. Annually, SIAS tracks and grades listed companies for their Corporate Governance practices and rewards those who have excelled with the Singapore Corporate Governance Award. SIAS also works with Public Listed Companies to reach out to retail investors through its corporate communication programme to enable investors to determine the fundamentals of a company and take a long-term view of the company for investment.